Have you ever wanted to create and produce your own original music? Now, thanks to a new mobile app developed by College of Arts and Sciences alumnus Matt Fagan (MA audio technology '17), it's possible to do just this—and you don't need any musical experience or expertise. His app was recently approved by Apple and is now available on the App Store. Fagan developed the app as his final capstone project at American University last year, using skills he learned throughout his master's program in audio technology, along with several classes in the game design program. Fagan also turned to AU's new Incubator for assistance. The Incubator is a key component of the Kogod School of Business's Center for Innovation, which provides current AU students and recent graduates with a workspace and access to industry experts to help them bring promising businesses to life. "The Incubator has provided great mentorship, as well as opportunities to connect with other students," Fagan says. "It gave me a group of peers who can provide me with feedback when I need it, and help answer business-related questions." Fagan says the Incubator also helped him develop as an entrepreneur and gave him valuable practice in pitching his product—a skill he continues to utilize as he grows his company. "Soon, I am planning on pitching to investors and asking for more than $100,000 to develop a market-ready prototype for a hardware piano keyboard version of the app," he explains. Fagan designed LightSignature to improve the piano playing and music theory skills of beginner musicians, experienced musicians, music producers, and professional musicians. It features a keyboard interface that allows the user to select a key signature and mode, and indicates which musical notes correspond to the selection. By default, a feature is enabled that de-activates the "wrong notes," so the user automatically plays the correct notes on the keyboard. 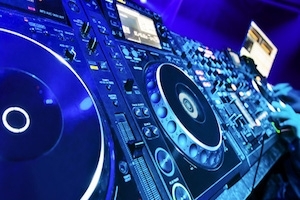 There is a large selection of instrument sounds for the user to choose from, and the App also has MIDI capabilities, meaning that it can be used as a controller that plays a virtual instrument on a computer. LightSignature is different from other apps because it allows users to create original music using a piano keyboard that teaches music theory. "Other piano training software teaches the user to play somebody else's previously written music," Fagan says. "I have a patent for this learning system, so no one else will be able to market the software or hardware." Fagan offers individual music production lessons through his company, AudioUnity Corporation, and he is in the process of developing an after-school program for middle schools and high schools in Montgomery County, Maryland. He teaches at a different school each day of the week, and brings his own "mobile music production classroom." He incorporates his app into his instruction and finds that it helps provide a shortcut for students who rely on the piano keyboard as their main tool for music production. Fagan says that he is dedicated to electronic music education, and he will continue to use LightSignature as part of his individual and group music production lessons. But he's also working to grow the marketplace for the app. He is promoting it to music technology magazines, and he will be pushing his marketing efforts this upcoming semester to sell LightSignature internationally.